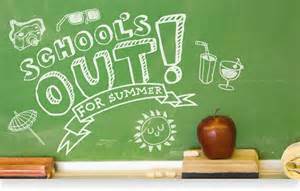 School is winding down and summer break is arriving soon. Memorial Day Weekend marks the unofficial start to summer and this brings changes in routine for families. While the warmer weather and care-free days may be welcome, these days also present challenges for families. Kids with more free time on their hands and less supervision may experiment with drugs and alcohol. This is the time for POP (Prevention-Oriented Parenting). Each summer, we put together a #SoberSummer – Resources for OYA Parents – 2017, and from Memorial Day through Labor day we post tips on Facebook and Twitter. Let’s keep our kids safe and sober this summer! Is finding a good way to spend it. It reminds me of my youngest son’s innocence amid the chaos of his older brother’s addiction. As we near Memorial Day – the unofficial kick off to summer – it’s time to bring back the Our Young Addicts #SoberSummer campaign. Each day from Memorial Day through Labor Day, Our Young Addicts will post substance-use prevention tips for parents, professionals and other adults of influence. Please follow along on Facebook, Twitter and Linked in, by liking, sharing, retweeting and quoting these tips. Use the #SoberSummer hashtag. And, by all means, share your tips with us and we’ll incorporate these into our postings – after all, we have 104 days of summer to fill! After a successful return to college, Midwestern Mama’s son is taking a break from classes this summer with plans to return in the fall. Without the structure and routine of classes, homework and studying, how will he spend his time this summer? Three things have undermined my son’s experience with overcoming addiction: time on his hands, boredom and money. When one or more of these has been present, his drug use would take control. Now, 10 months sober he is learning to work through these- even though summer without college classes could present a challenge. Time: When very little interests you, even amid commitments like school, sports and a part-time job, you end up with a lot of time on your hands. When you no longer have to go to school and you don’t have sports or a job, then you sit around a lot. Sitting around leads to boredom. Boredom: More than anything, my son has been living with boredom most of his life. Before drugs, he would easily get bored even with seemingly exciting things to engage his interest. No matter what, I can’t solve this for him. Even in his sobriety, not much interests him. He craves excitement, yet nothing ever seems to capture his attention for long. He cites boredom as one of the main reasons he was curious to try marijuana as a teenager. It wasn’t peer pressure or wanting to fit it; it was curiosity. For a while, it certainly seemed that marijuana was his interest, his obsession really. Until, it wasn’t and then he was on to other drugs like opiates. Until, it was addiction and consequences, which controlled his ability or ambition to stop. Money: From the time he was a little kid, money burned a hole in his pocket. At first, it was altruistically – putting all his birthday money in the donation jar at the zoo. Later, it was impulsively for instant gratification – buying a game or toy immediately and discovering it wasn’t as much fun as he thought it was going to be. During addiction, having money from a part-time job meant he could fund his habit instead of saving for college (even though that wasn’t the agreement). Getting a tax refund meant, spending it on drugs. Getting gift cards meant selling these for drugs. Since going through treatment last summer and committing to sobriety and recovery during the past 10 months, he’s successfully addressed two out of three of these items – time on his hands and money. Time: The treatment program plus part-time college classes and part-time job have filled his time while still allowing him the downtime that he needs to get through each day. However, with school out, he now has four days a week where he doesn’t have a time commitment. He’d like to increase his work schedule to cover the available hours and to earn more money for things like tuition in the fall and buying a car. Money: The part-time job has helped him pay off debts incurred during addiction and has given him spending cash to buy some new clothes, get presents for family members on their birthdays, go to a movie, etc. Because he has set some goals such as school in the fall and getting a car, he seems more committed to saving money instead of spending it as impulsively as in the past. Boredom: This remains the kicker. He still goes through the motions without a lot of zest or interest – save for the family dog. He doesn’t have much of a social life. This is the piece that’s been on my mind. At least with school schedule over the past semester, he had built in commitment and now he’s just got the part-time job …which means could have time on this hands and money … which means???? P.S. Just as we headed into the Memorial Day weekend, my son completed an application to transfer from community college to a bachelor’s degree program at a local university. In doing so, he had to secure a transcript (albeit a blank one) from the college he briefly attended after high school; there was a hold on his account due to a fine for underage drinking and for possession of marijuana in the dorms – one of the pivotal lows of his addiction and the one that got him kicked out. Now four and a half years later, he paid this and signed up for extra hours at work to cover the expense. How far he’s come this year! It’s almost summer and without the structure of school it may trigger substance use. Join #OYACommunity for tips on a #SoberSummer for our kids. Memorial Day weekend is the unofficial start to summer. Kids may have a few weeks left in school, but a major shift in mindset and in schedules is about to take place, and it can trigger substance use. Now is the time for parents and other adults of influence to help our kids have a #SoberSummer. Over the next few weeks, let’s share tips and resources. Check out #OYACommnity on Twitter, Facebook and here on the blog for ideas. One of the many fantastic resources is The Partnership for Drug-Free Kids. In addition to the FREE help line for parents (below), the website is full of resources including conversation guides. If you’re concerned about your child, do not hesitate to call The Parents Toll-Free Helpline – 1-855-DRUGFREE – (1-855-378-4373) Mon.-Fri. – 9 a.m. – 5 p.m. EST. If you are in need of immediate or emergency services, call 911 or a 24-hour crisis hotline. Our middle kid tells us that his first use was marijuana during the summer between junior and senior years of high school. It was with a kid a year older who lived down the street. Although we had our hunches – Mom Radar as I call it — it wasn’t for about another six months before we definitively discovered his drug use and it was a lot more than pot. He went from experimenting to abusing to addiction in a relatively short period of time and it has taken years of consequences for him to get on the path to recovery. That is why I advocate becoming aware of the signs of substance use and then taking action. With summer upon us, let’s join together to make this a #SoberSummer for our kids.